How to Train Your Cat to Sit? • Fix her feeding time before starting the training: It will evoke a kind of punctuality in the cat. If you feed her at same time on a daily basis, she will recognize that it is the time to eat. In this way, you can get her complete attention for certain duration. 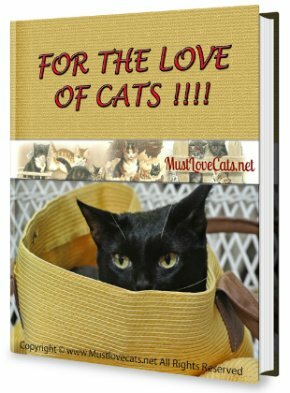 • Get your cat's favorite treats: You must know what treat your cat loves the most. In case if you don't, you may buy variety of treats from online pet stores in order to identify her interest. Giving a bribe is the best way to commence the training. • Kneel or sit down in front of her and remove all the distractions beforehand: Do the training at the place where there is no distraction. 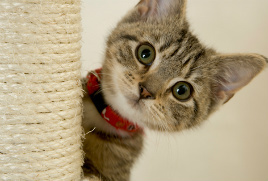 Moreover, make certain that your pet feline feels safe and comfortable at that place. • Grab her attention by showing her treat and allowing her to smell it: This exercise is done to attain the complete attention of the cat. You may give a small bit of the treat to make her taste it. From here, you can use the remaining treat for further training. Her complete attention towards the treat will help you train her as per you want. • After getting attention, lift the treat above her head: Make your cat crane her neck by lifting the treat above her head slowly. In case if she tries to grab it by jumping, raise it high or move your hand away. This will make understand that the things will go as per your wish. While lifting the treat, the cat has to sit in order to maintain the balance. Just as you find your cat has sit, ask 'SIT' and provide her the treat. • Patience is must: On repeating the above task for few days, you may begin to link the verbal command with actions. You have to maintain your patience while the training process as every cat is not the same and time taken to learn the orders may also differ. 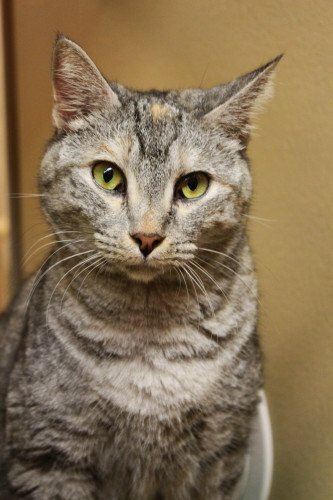 • In case of cat being confused, press down on its rear quarters: If your close-to-heart pet is confused, you may press her back lightly to make clear what you want her to do. However, few cats dislike this and in result, they may scratch or even bite you. • Do not ever try lest your cat gets frustrated: Do not overexert the exercise. It may result to a certain frustration in your cat. Never punish her if she does not follow the commands. On following the process for a limited period every day, you will soon find no need of offering the treat as well. Your feline will start understanding what you are trying her to do. Once your cat has learnt to follow your command to sit, you may also proceed to make her learn how to shake, sit up and all. You can exhibit her skills in front of your friends and can make your coddled companion popular in your circle! Comments for How to Train Your Cat to Sit?